Along with the intimate watercolor portraits of your sweet pets, and my own infatuation with chairs and shoes, Gadora has a few pieces up for grabs. This jewelry display was refashioned from fallen limbs. This shabby-chic wire-basket-turned lamp that doubles as a wind chime (if you want it to)… get it while it’s HOT. Perfect for a front porch, above your favorite cozy chair, anywhere there’s a plug. SOLD on Etsy. Childs’ chic creative center, SOLD on ETSY. 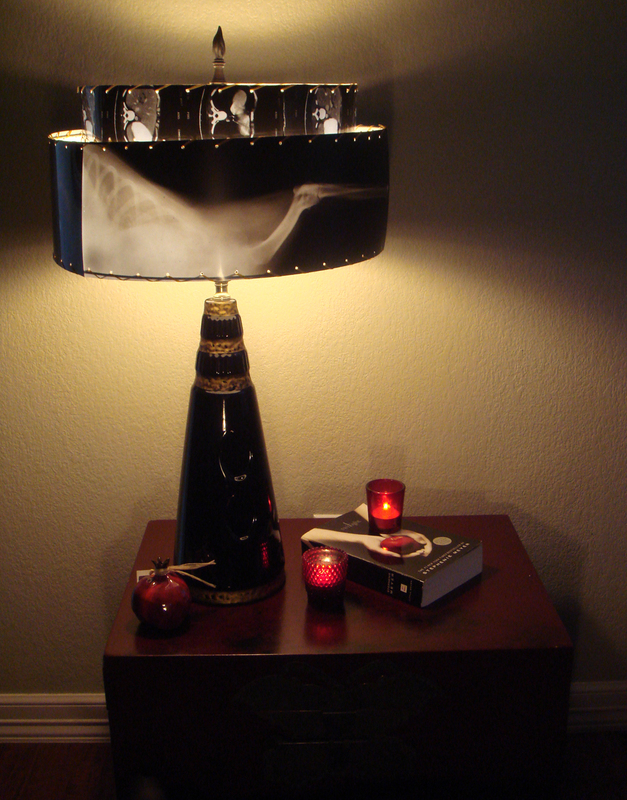 Kron lamp with $OLD on ETSY, $125. 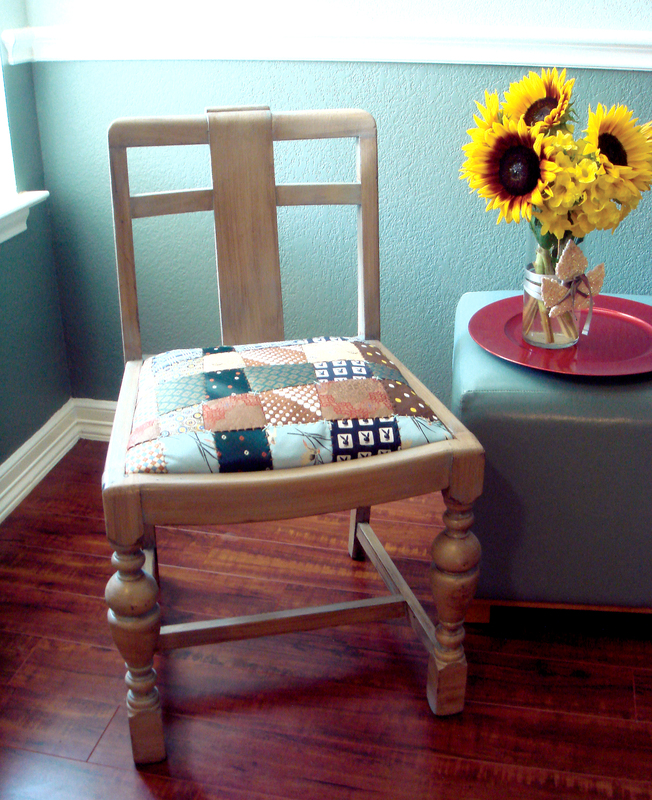 Cushioned tie-chair, $OLD on Etsy. steph i dont know about that lamp .